Starting in January, programming featuring Servant of God Fulton Sheen, makes its return to the CatholicTV programming schedule. The programming includes excerpts from his Emmy Award-winning television program “Life is Worth Living”. This programming will be viewable at CatholicTV.com and on CatholicTV. 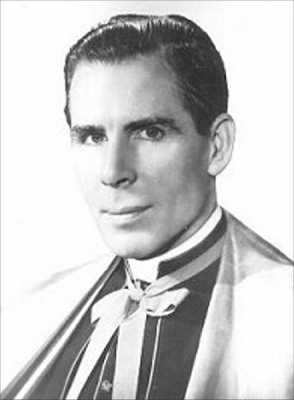 Servant of God Archbishop Fulton Sheen hosted this multi-themed program which includes such topics as gloom and laughter, patriotism in America, the true meaning of caring, communism, and angels. Each week, the “Fulton Sheen” program will air at the following times (Eastern): Monday 10:30 a.m. Tuesday 3:30 a.m. Friday 12:30 p.m. and 11 p.m.
CatholicTV recently aired a Mass in honor of the 30th anniversary of the death of Servant of God Archbishop Fulton Sheen. The Mass took place at St. Patrick’s Cathedral in New York City with Archbishop Timothy Dolan as the principal celebrant and homilist.